There are no War Graves here, but there are some family ones. Unit Text: Benbow Bn. R.N. Div. 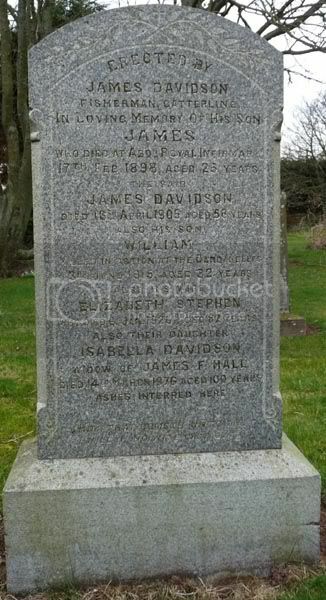 Additional information: Son of James and Elizabeth Stephen Davidson, of 14, Catterline, Stonehaven; husband of Ida M. Watt (formerly Davidson), of 37, High St., Stonehaven. Grave/Memorial Reference: Special Memorial A. 30. Unit Text: H.M. Trawler "William Bond." 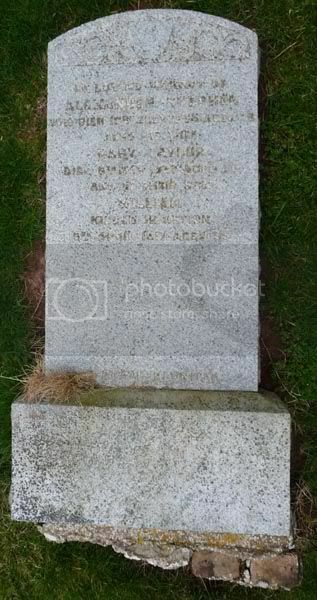 Additional information: Son of the late Alexander and Jane Noble, of Catterline, Stonehaven, Kincardineshire; husband of Catherine Brodie Noble, of 30, Menzies Rd., Torry, Aberdeen. 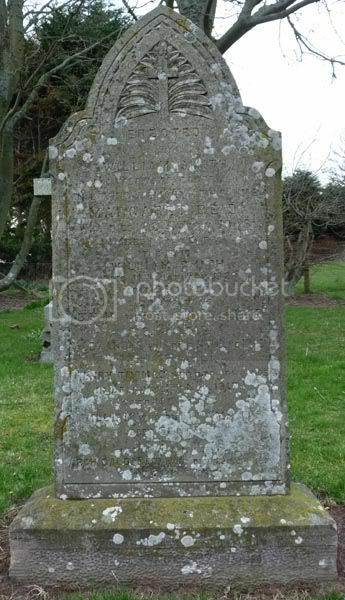 Additional information: Son of William and Margaret Smith, of Stonehaven, Kincardineshire, Scotland. Grave/Memorial Reference: VIII. F. 18. Unit Text: 24th (Tyneside Irish) Bn. 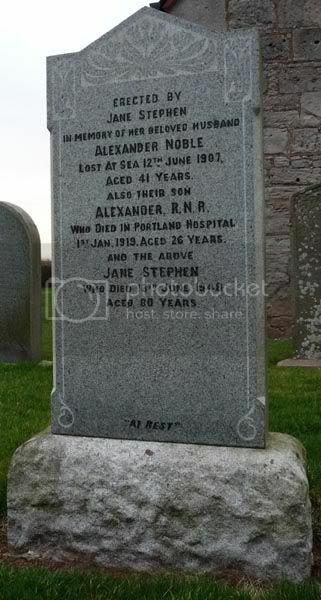 Additional information: Son of Alexander and Mary Stephen, of 2, Coast Guard Station, Catterline, Stonehaven, Kincardineshire. Grave/Memorial Reference: III. B. 18.